Personally, I try my best to style my hair whether it's curling it or straightening it, book regular trims and keep up with a consistent hair care routine. In a dream world, my hair would be extremely soft, shiny and thick and luscious (probably almost every girls dream hair?). What if I told you about a few products that could help you achieve your hair goals?! I recently was given a set of MONAT products to test out that I’ve really enjoyed using. I’ve incorporated these three products for the last three weeks into my hair care routine. The consistency is very light and flexible in the palm of your hand. The reason why I’m liking this product so much is that it's helping me with my hair goals while it works to boosts volume, moisture and shine all while gently cleansing my hair. Personally, I always double shampoo and have been doing so with this product. It’s just something that I’m so used to doing and feels so odd if I don’t. This product is to be used once or twice a week. I’ve used this after shampooing my hair and then have left it in for 5-10minutes. Be sure to apply the product to damp hair from your roots to ends and once finished really rinse thoroughly to get every last bit out of your hair. Monat products contain Capixyl, which works to prevent and stop the process of hair loss while also working to stimulate hair growth. 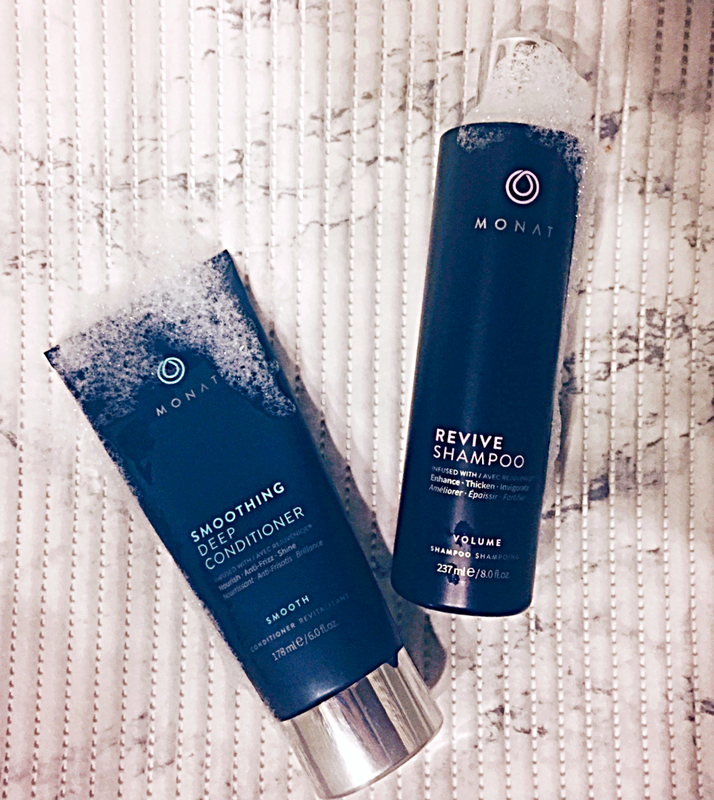 In using Monat, you can expect increased hair growth, stronger hair follicles along with thicker and shinier hair. I’m also very happy to report that these products are chemical, paraben, gluten and vegan free! If you’re interested in purchasing Monat products (perfect for the holidays) for yourself or as a gift, please contact Briana Cirillo.